OK, enough about the building. 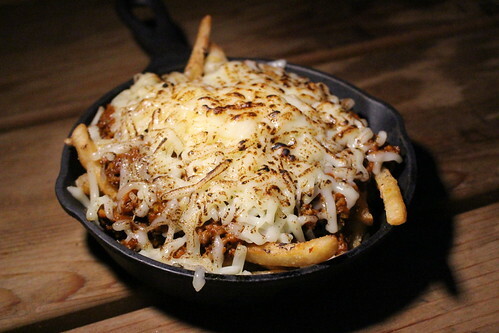 On top of the list of draft beers, Idle Hour also offers a pretty big food menu. 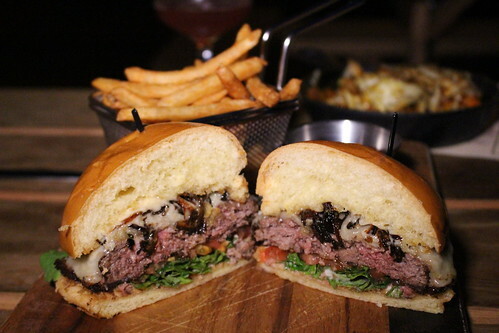 For dinner, the menu veers towards gastropub style food that goes well with drinks. 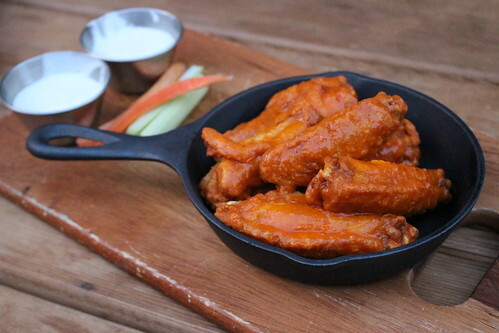 Try the Idle Wings ($9), served with Rocketeer Buffalo Sauce. 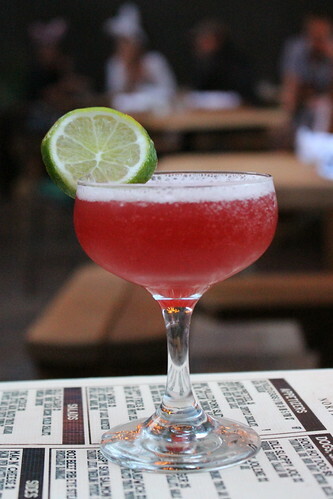 The perfect drinking food, right here. 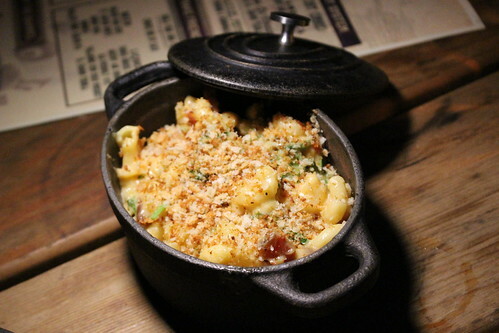 The mac and cheese was also pretty good, and the tomatoes and spinach helped keep it from feeling too heavy and rich. A nicely done burger with generously thick patty. I liked the aged cheddar they use as well. 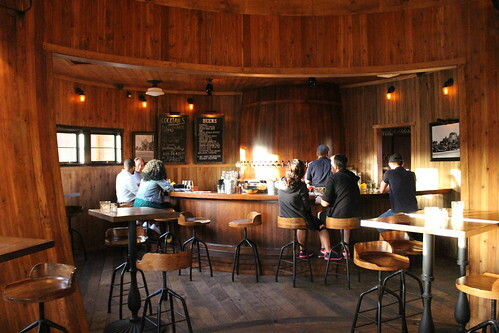 Idle Hour has a pretty big beer selection (and beer and shot combos), but since it is a 1933 Group bar, they also have a cocktail list. 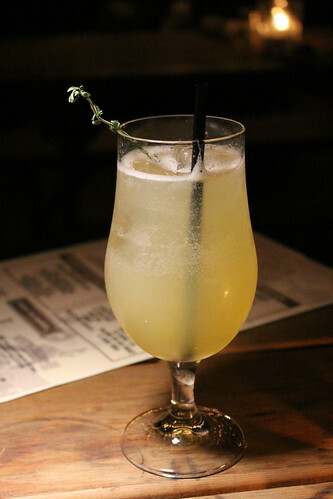 The cocktail menu has recently been revamped so it's different from what I had when I came, but you can find classics like Old Fashioneds and Mules along with the group's own concoctions. 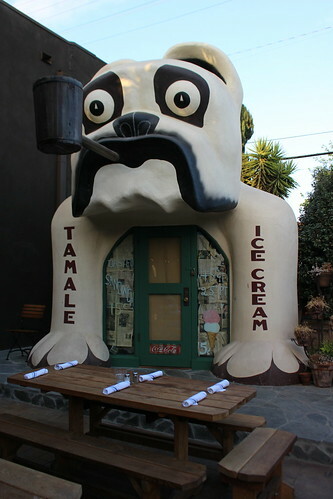 If you've been to the group's other bars like Harlowe or Oldfield's Liquor Room, then you know what to expect. 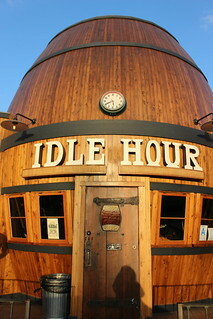 Idle Hour is definitely a cool spot to hit up in North Hollywood, with its unique architecture, the outdoor patio that's perfect for summer outings, and the food and drinks offered. 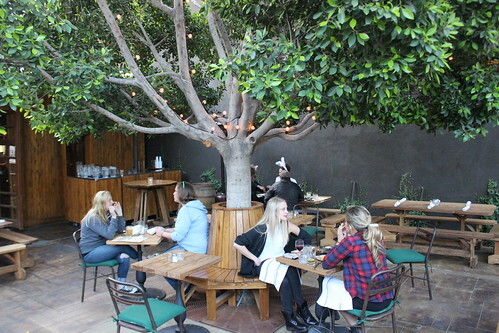 They've also recently launched a new brunch menu worth checking out!